Anonymous, 08 Mar 2014how can i save pictures from google?Which browser do you use? How I can open the internet? I could not find it function. how can i save pictures from google? PINTU, 12 Feb 2014yes it support whatsapp, wechat, and line also. 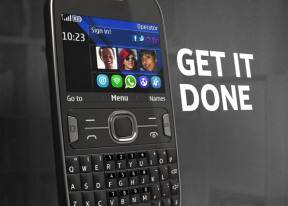 I want to purchase asha 302!!!! Its better for meeee??? the phone is great. i mean it surfs the internet quite quickly, the apps that are available are awesome. my main problem with it is that you cant save your internet pages or download internet images. i can't able to download softer like action voip, mobile deailer, mobile voip. etc. how can i save the pictures from google? i tried t download pictures.. but i dont see anything that it can be downloaded. josh, 22 Feb 2014the email app for the nokia asha 302 is really bad when you register 2 or more accounts to the... morehahaha this s40 phone don't hope to much and don't compared to symbian phone..